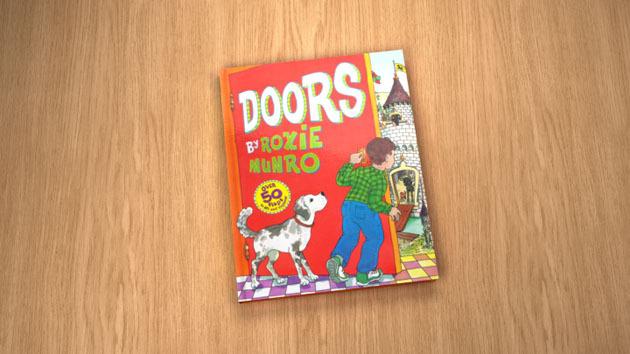 “Doors” is a book from famous American illustrator and writer Roxie Munro. It has received numerous recommendations and awards. 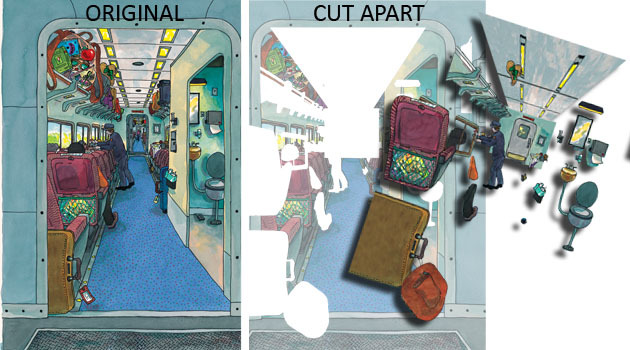 “Doors” is a lift-the-flap book with hidden objects. 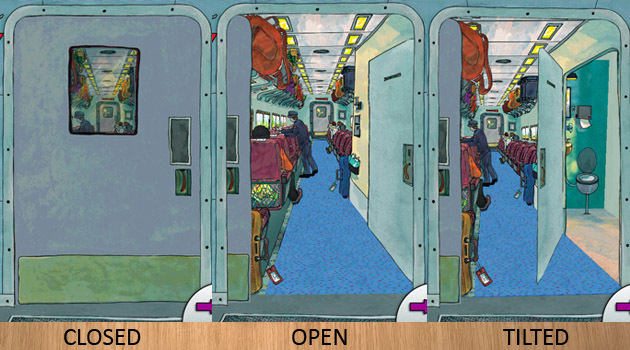 Behind doors, cupboards, train interiors, the space station, sailboats, and other spaces are objects you can find and worlds to explore. There are more than 50 flaps to check out and to look behind. We thought “Doors” would make a great app, with a lot of extra possibilities and interactivity. But it is going to be a tedious and difficult task. We analyzed each page carefully, decided what we could do with it and how we were going to do it. All the different digital items and scenes we dissected have to be put together again. Since Roxie draws each illustration by hand, the original pages with depth do not have a real perspective. Simply building the page in 3D wasn’t the way to go to stay close to the original artwork. But since we wanted to give the pages depth and 3D, we had to find a solution. 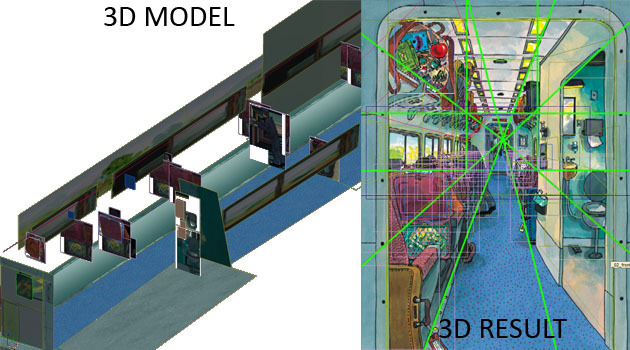 The solution was as simple as it was tedious – rebuild the scene in 3D, but transform everything to fit the original artwork. Sometimes this means that a simple room gets a really weird shape in 3D , just to follow the original artwork. See the picture below for an example. 14 Jul Roxie’s Doors : Movement and Sound. Now the pages are built in 3D, the pages move, but we needed more. We wanted to add interactivity and movement to parts of the pages. We already took them out digitally, but now we have to bring these parts to life. The same way all animations are made, by cell animation. Each movement is a different image, again a tedious task, but it greatly enhances the experience. Trunks open, dogs bark, lights flash, horses move. We added three choices for reading the text: voice-overs of a man or a woman, or a read alone option. In combination with more than 100 different sounds, the experience becomes complete.